Mr.Coleman's comment is reprinted below. Welcome to the wonderful, crazy world of blogging. At Cryptomundo, we deal in an extremely high volume of new reports and postings, so to say you *scooped* us is fine with us. We need not mention the scores of stories we paid attention to while you highlighted Cameron Gainer's newest appearance. But let me mention that, yes, Cryptomundo's first posting about Cameron Gainer's art was on September 14, 2006, with a followup on October 22, 2006, and an added update on October 20, 2007. I guess I could post on Cryptomundo, in response to this posting that we scooped you on posts about Gainer's art by almost 17 months, but I won't. LOL. Well thank you again sir I hope we still do you proud. Please folks if you get a chance please donate to the International Cryptozoology Museum as we have asked you to do in the past. As always Mr.Coleman any progress made in crytozoology is only due to our ability to stand on the shoulders of your achievments. BfRLC salutes you! After 109 posts, over 3 million visitors, and 26 lunches we have achieved the high mark of our first anniversary. Yes lunch clubbers when we reflect on the last year let me share some of the highlights. As we all know the biggest news was the Georgia hoax. 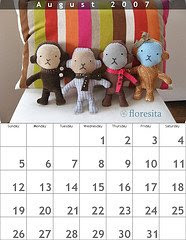 Before we go to the chart below I would like to present a link to our first post Since then we have come quite a ways. Although we endured the peak of August 15th -- the official press release of the Georgian Hoax. We scooped most media by posting the news July 30th. As you can see though, news traveled slow for the rest of the world, bigfoot related searches and news media mentions waited a full 15 days. As illustrated below and at the google trends website. Proud to be the first stop for all Bigfoot related news, we at the Bigfoot Research Lunch Club will continue to work even harder next year. Happy holidays. Happy Anniversary Bigfoot Lunch Clubbers! Many thanks to all who have made this a truly successful year! Two of the BfRLC's favorite subscribers, Marc and Lisa-both of the CNA, noticed this uncanny resemblence of President-Elect Obama to the big guy himself, Bigfoot. Take a close look and you will see that our new President, who by the way was endorsed by the BfRLC, is taking on the classic pose of our large footed friend. 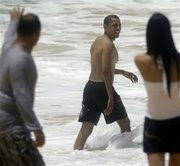 Perhaps there is something here moreso than a simple photo of our next great President on vacation. Those who doubted we'd ever have an African-American President might also doubt the existence of Bigfoot; well, coming out of 2008 we all know now that anything is possible. We salute you Marc and Lisa for sharing this photo with us. Legend of apelike forest dweller has spawned a cottage industry in Northern California. Somewhere in the wilds of the Siskiyou Mountains, a hulking, ill-kempt, apelike creature should be on the lookout for that dreaded letter from the AARP Yes, it's true: Bigfoot is about to turn 50. Or, to put it more precisely (if less fancifully), the phenomenon of Bigfoot is hitting the half-century mark. In 1958, a man from Willow Creek in Humboldt County discovered the first size-15 footprints in the mud. Wildlife biologists, scoop-hungry reporters, cryptozoologists, psychics, new age shamans and even big-game hunters have been combing the wooded mountains ever since. They've turned up more footprints – lots and lots of footprints – and a few other intriguing bits of evidence, but no one has been able to produce definitive, unassailable proof that the creature exists. Still, several communities claim Bigfoot as their native son – none with a louder voice than Willow Creek, a tiny town overlooking the Trinity River on Highway 299, 40 minutes east of Arcata. It's home to the Bigfoot Museum, the Bigfoot Motel and the Bigfoot Golf & Country Club, and was the site of the 2003 International Bigfoot Symposium. Stories of a big, apelike beast called Sasquatch circulated in the Pacific Northwest long before white settlers arrived. Then, on Aug. 27, 1958, a bulldozer operator named Jerry Crew stumbled upon a set of eerily large footprints next to a U.S. Forest Service road he was building near Bluff Creek. Andrew Genzoli, a columnist for the Humboldt Times, coined the name Bigfoot, and suddenly Northern California had its own version of the Loch Ness monster. Nine years later, two other men from Willow Creek, Roger Patterson and Robert Gimlin, were searching in the same area and shot the famous home movie that depicts, depending on your point of view, either Bigfoot or a person in a cheesy Bigfoot costume. The 53-second clip has been analyzed nearly as thoroughly as the Zapruder film, and whatever your conclusion, there are dozens of "experts" who will back you up. In the decades that followed, there have been recurrent whispers in Willow Creek of Bigfoot sightings. But 84-year-old Al Hodgson, retired owner of the town's variety store, says encounters are more common than is publicly known. "If you say you've seen Bigfoot, people make fun of you," he said. "A lot of people hold back, keep it to themselves." He's never encountered the big beast himself, but Hodgson has found several sets of footprints, which he preserved with plaster casts. They're now on display at the town's Bigfoot Museum. In a town where a funky 1950s motel used to be the best you could hope for, Coho Cottages offer handsomely luxe lodging at reasonable prices. Built by local rafting guides Marc and Londa Rowley on a bluff above the river, the large, stylish, brand-new, freestanding cottages have screened-in porches with Adirondack chairs and gas grills; large walk-in showers with rain showerheads; whirlpool tubs; fluffy pillow-top beds with high-thread-count Egyptian cotton sheets; gas fireplaces with sitting areas; and larger-than-normal kitchenettes. The photos on the Web site don't come close to doing this place justice. You might start by shopping for delectable fruits and vegetables at Trinity River Farm, a '70s commune now being managed as a traditional farm by Molly O'Gorman, the founder's daughter. Then head over to the Bigfoot Museum, also known as the Willow Creek-China Flat Museum. The Bigfoot wing is in the back, and there you'll find lots of plaster footprints, a few strands of alleged Bigfoot hair, a tiny chunk of Bigfoot's alleged Achilles tendon, lots of newspaper clippings and a couple of films. On the way out, stop at the front desk to buy Bigfoot cookies, "Bigfoot crossing" signs, Bigfoot shot glasses, Bigfoot coffee mugs, Bigfoot jelly, Bigfoot T-shirts and ... well, you get the idea. In the afternoon, go for a whitewater rafting trip on the Trinity River, keeping an eye out, of course, for Bigfoot lounging on the riverbank. Many of those who've encountered Bigfoot say the creature stinks like rotting garbage. So don't just look; use your nose, too. We’re in the middle of what the local news casters are calling the “Artcic Blast”. yep. That’s really what they’re calling it. I’ve been couped up in my apartment for a few days, and I think it may be getting to me. I could swear I saw a Yeti out my window. Maybe a Big Foot covered in snow to make him look white (given that I’m in the Pacific North West, home of Big Foot). Although he has misspelled cooped we will take him at his word. Please join the BfRLC in taking a moment to pay our respects to a man that all of us, whether a true science researcher such as ourselves or those who are simply science fiction afficionados, should be tipping our hats to, Forrest J. Ackerman (November 24, 1916 - December 4, 2008). Ackerman, known as "Forry" or "4e" or "4SJ", was influential not only in the formation, organization, and spread of science fiction fandom, but had long also been a key figure in the wider cultural acceptance of science fiction as a literary, art and film genre. It is said to have been Ackerman who coined the term "sci-fi" even. Astonishing. His collection of memorablilia includes Mr. Spock's ears from Star Trek, among other truly wonderful artifacts. I can continue to go on and tell you what a life Ackerman had, but I encourage you all to research on your own. Finally, as it is our tradition to all those who have inspired us, taught us, and believed in us, we salute you, Forrest J. Ackerman. I think that the plight of Bigfoot in relation to global warming is something that both Bigfoot researchers and environmentalists need to come together on to give rise to their causes. What better case is there for the fate of each dying breed (Earth and Bigfoot) than the case of the other? Environmentalists can use the case of Bigfoot's migration to show the public the effects of global warming. Bigfoot researchers can seize the opportunity to teach the public about Bigfoot and how it is endangered. Pollution given off by industry, landfills from our collective waste and deforestation in insane amounts have already left big footprints on our earth. What better time is there than now to teach the world about how we can save the earth for you, for me and for Bigfoot? Is global warming forcing Bigfoot to move north? If you were a nine-foot tall animal covered in dense fur – say, Bigfoot – you would probably seek cooler climes if temps began inching up. That’s the hypothesis one Queens College biologist posed to me last night – without, I should note, acknowledging that such an animal exists at all. But I digress. The night’s science quotient went up later, when several of us from the audience went out for drinks. There, Hickerson told me about his research into what’s called environmental niche modeling. The basic idea is that you correlate sightings of any organism, or evidence of that organism, with geographical and climate data, to try to figure out where you might find other such organisms. That’s the idea behind this study of species shifting across Yosemite, led by Hickerson’s postdoctoral advisor, Craig Moritz. You can see how such work would be useful not only in trying to forecast where animals and plants might move, but also in predicting places we might find endangered species where we previously have not. Combine that with new tools like Google Earth, and it’s understandable why the field has taken off. Hickerson told me that evolutionary meetings now feature hundreds of papers on the subject, compared to practically none just two or three years ago. He uses it to study a number of plants and animals, in particular those such as seaweed and barnacles that live in rocky intertidal regions. Tongue planted firmly in cheek, he then told me that they still need more data, particularly from Canada, but his preliminary read is that there have been more sightings in northern parts of Sasquatch habitat lately. “Maybe Sasquatch is moving up north,” Hickerson suggested sarcasticaly. 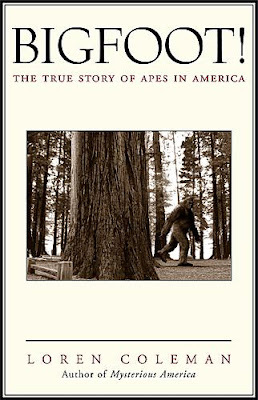 Famous film of Bigfoot: Big hoax? A Kalamazoo native's story helps to debunk the myth of Bigfoot tomorrow on TV Land. 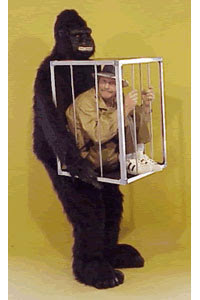 It was 1967 when costume-maker Philip Morris got an unusual phone call from a guy asking about a gorilla costume. ``We had been advertising our costumes in a lot of trade magazines, so I was used to getting phone calls, but this was different,'' said Morris, whose costume company Morris Costumes in Charlotte, N.C., is one of the largest in the nation. 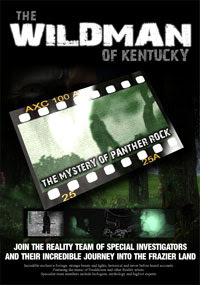 The film has since become the most famous footage of Bigfoot and has ignited a controversy over its authenticity. 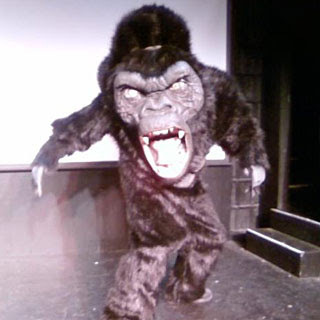 With a large clientele of magicians, Morris decided not to tell anyone that it was his gorilla costume in the film. Patterson never admitted it was a hoax, but after his death in the 1980s Morris decided it was OK to tell people it was his suit in the film. There is probably no other unknown creature that arouses more curiosity than the Bigfoot or Sasquatch. 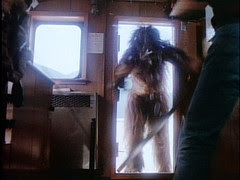 Yes, there is the Loch Ness Monster, the Chupacabra and other great beasts of Lore but the Bigfoot remains the most compelling as it pulls us towards ourselves…shadowing the unknown X factor of our very origins. The case files contain thousands of reported sightings, yet no actual specimen has ever been found. Hundreds of photographs exist, but the creature has not been identified. Still, the clues accumulate year after year. In the words of one Bigfoot investigator, “It is an extremely complex phenomenon with no starting point and few geographical limits.” If this creature does exist then it most certainly must be a relative of man. Yes its true. A few select Lunch clubbers were able to win this months grand prize, a chance to hear the world renowned Dr. Richard Leaky speak. In the picture is Joel, our east coast division researcher, Guy Edwards the designer and goto graphics person for the blog and newest member Jemina, she is currently studying biology among other academic endeavors and brings credibility to our research. As co-founder I can't wait to hear more about their time with the great doctor whom I met in Kenya several years ago. Congratulations kids. Below is an reprint from a blog called the Inquisitor. The tone is pretty much the same with the rest of the media. Portraying these two georgian boys as fools or idiots, or just plain jerks for lying. I just want to make sure that everybody realizes there was a man who is behind this whole mess, that probably knew how things would pan out better than anybody. His name is Tom Biscardi, CEO of Searching for Bigfoot. I think Matt Moneymaker of BFRO says it best in an interview with National Geographic, "Now he(Tom Biscardi) is really a famous con man," Moneymaker said. "He was a con man known in Bigfoot circles for years, and now it won't be long before everybody knows it." BfRLC Salutes you Matt, for boldly speaking up and letting the rest of world what's what. The two goons who wasted the world’s time by claiming they’d found Bigfoot are now finding themselves on the receiving end of a lawsuit. Matthew Whitton and Rick Dyer went the full nine yards with a news conference, DNA tests (that showed nothing), and all sorts of empty promises last week. Of course, it was all a hoax — and, as many had initially suspected, the creature was no more than a frozen Halloween costume filled with some random roadkill. Now, the company that helped publicize the whole debacle is demanding cash from the country bumpkins. Searching for Bigfoot paid the doofuses $50,000 for the rights to their story, and it’s not happy the whole thing’s been exposed as fraud. The good ol’ boys from Georgia, for their part, now claim it was all just a big joke and that Searching for Bigfoot is to blame for “blowing it out of proportion.” They say they never did it to make money — even though they’re still holding onto that $50K that somehow made it into their hands. Oh yeah, and they’re also selling Bigfoot stuff on their own web site. That same man — who was a police officer in Clayton County, Georgia — has been fired from the force as a result of the scam. KATHMANDU (Reuters Life!) - It seems the search for mythical creatures goes on. Less than a week after two men in the United States claimed they had found the remains of a half-man, half-ape Bigfoot, which actually turned out to be a rubber gorilla suit, a team of Japanese climbers began trekking on Wednesday to a mountain in Nepal hoping to find the Yeti, or abominable snowman. Seven climbers, supported by sherpas and carrying cameras and telescopes, will spend 50 days on the lower reaches of the 7,661-metre (25,134-ft) Dhaulagiri IV to try and collect evidence of the beast's existence, team leader Yoshiteru Takahashi said. Takahashi, who carried out similar missions in the same area in 1994 and 2003, told Reuters that one of his team members and three sherpas had seen "something like the Yeti" from a distance five years ago. "We believe that was the Yeti," said Takahashi, a 65-year-old employee of a Tokyo furniture company. "So we are going to search for a third time. We need photographs and video tapes to prove it. It is very important." 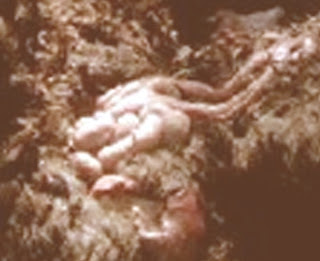 Sherpas and climbers often narrate stories about a wild hairy creature roaming the Himalayas. Those tales have captured the imagination of foreign climbers of Mount Everest since the 1920s prompting many, including Everest hero Sir Edmund Hillary, to carry out hunts for the Yeti. Some climbers even claim to have found Yeti footprints, but no one has yet actually seen it or produced irrefutable proof. The Japanese will pitch three camps, manned by two researchers each, between 3,400 meters (11,154 feet) and 4,300 meters (14,100 feet) above base camp. They will use binoculars during the day and also have long-lens cameras to take pictures at night. "I want to shake hands if I meet him," said T. Onishi, another member of the team. "But it is very difficult. They are shy, so we want to just take pictures." hey BfRL Clubber's theres some darn good research goin' on at http://sopebocks.blogspot.com/ they go into far greater detail into the georgian gorilla. Too much to repost here. 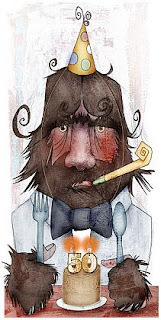 From all of us at the Bigfoot Researcher's Lunch Club We salute you Charlie and keep up the good work! EDMONTON - When news broke Friday that two self-proclaimed sasquatch trackers in the state of Georgia claimed to have one of the fabled ape creatures in their freezer, Jeff Meldrum was quickly pulled into the story. After all, he's one of the few PhDs conducting field work on Bigfoot and reporters were quick to search him out for comment. He was unimpressed about photos posted by the Georgians on the Internet. And on Sunday, speaking in Edmonton Sunday at the Royal Alberta Museum on his research into Bigfoot that started when he discovered an unexplained set of tracks in the mountains of Washington state, he hadn't changed his mind. 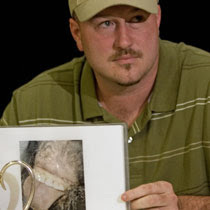 Rick Dyer, 31, holds a picture he claims is the mouth of Bigfoot in Palo Alto, California, August 15, 2008. Bigfoot, also known as Sasquatch, is a mythical ape-like creature said to live in forests of the Pacific northwest region of the United States. "It was not compelling in the least," said Meldrum, an associate professor of anatomy and anthropology at Idaho State University and an affiliate curator at the Idaho Museum of Natural History. "It didn't have the bulk or the mass. It seemed to be vacuous, the hair did not look natural and the face bears a striking resemblance to an off-the-shelf costume." Still, he's quick to point out the real creature could very well be out there in the woods somewhere. There's just too much evidence to ignore. Meldrum, author of Sasquatch: Legend Meets Science, said such likely hoaxes as the one in Georgia are damaging to the few scientists researching the field. "People who are not well-informed on this subject matter then use this incident as a litmus test of the veracity of the entire subject." His talk was part of the museum's lecture series entitled Here Be Dragons . . . and Other Creatures. 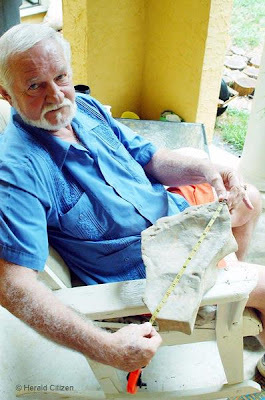 He said such evidence as many footprints and digitally enhanced versions of the grainy Patterson film shot in 1967 of a female Sasquatch show anatomical details that are difficult to fake. "The amassed evidence of the footprints is strong evidence that there is a real animal that exhibits a consistent anatomy that is distinct from human anatomy and yet shows adaptations that are very elegantly suited to the habitat where they are reported to exist," Meldrum elaborated after his presentation. Meldrum said he hasn't encountered face-to-face a sasquatch himself, but has seen fresh footprints on several occasions and had brushes where something has come into his camp and rifled through his backpacks, opening clasped flaps without tearing them. He's also had stones thrown at him in isolated woods. "I'm not here to convince you that sasquatch exists," he told the audience. "I was hoping to convey to you that there is a body of data that is extremely compelling," said Meldrum. "I am convinced there is something out there. Something is leaving footprints. There's something out there that begs for our consideration." 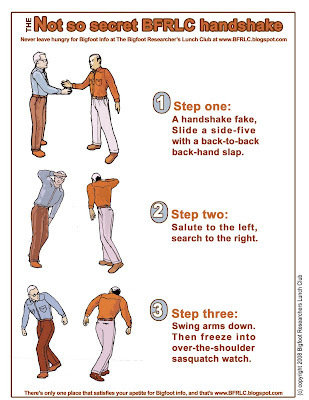 Okay Folks. All you Bf hunters, enthusiasts and lunch clubbers, let's not let this new found attention go to waste. We really need to get the message across that Cryptozoology is research is founded on anthropology, biology, zoology. Refer to the Gigantopithicas theory posited by Grover Krantz of Washington State University. You could discuss how the research and debate is very active. 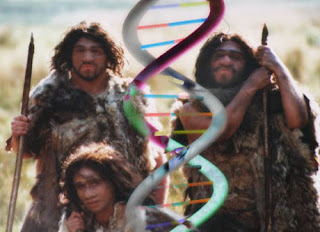 Reference Loren Coleman's alternative theory proposing that Bigfoot lineage may have departed futher back than Giganto. Discuss how the Giant Panda and the Low land Gorilla was only discovered within the last century 8000 of them just this last year. Real or Hoax, the Georgian Gorilla has afforded us, all of us a tremendous opportunity to share the our determined community tied together by a single curiosity in pursuit of an elusive creature mention in myth and famed by film. You can stereotype conspiracy theorist, ghost chasers, and ufologist, but Bigfoot researchers are as diverse a group as this great country we all live in. I'm sure if we started to talk about politics or religeon we may discover how different we are, but we dont, we support each other, encourage each other and focus on what we have in common. 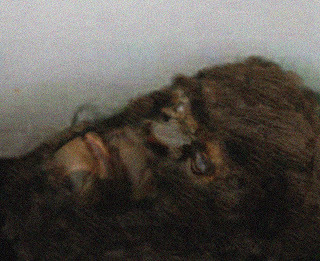 So if the Media comes knocking on your door asking you about this corpse in Georgia, tell 'em about what Bigfoot research is all about. The pursuit of discovery. A BRITISH scientist is anxiously awaiting the results of DNA tests on hair claimed to be from a yeti after initial examinations showed it had human and ape-like characteristics. Ian Redmond, a biologist and expert in ape conservation, said the hairs found in the Indian jungle resembled samples collected by the conqueror of Everest, Sir Edmund Hillary, in the 1950s. "Under the microscope, they look slightly human, slightly like an orang-utan and slightly like the hairs brought back by Edmund Hillary," Dr Redmond said. "These hairs remain an enigma. They could be a new species, but the DNA tests will hopefully tell us more." 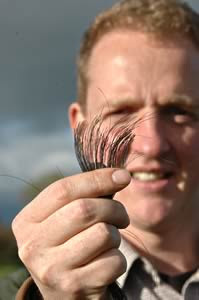 The hairs were brought back from India this year by BBC journalist Alastair Lawson, who contacted Dr Redmond and was put in touch with a team at Oxford Brookes University in south central England. 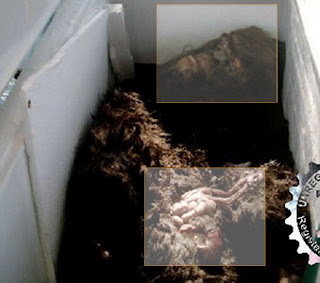 Lawson was given the hairs by yeti believer Dipu Marak, who retrieved them them in dense jungle in the Meghalaya state of India after a forester allegedly spotted the creature on three consecutive days in 2003. Mr Marak believes the hairs come from an ape-like Indian version of the fabled yeti, or abominable snowman, called mande barung, which he believes stands about 3m tall. Dr Redmond and scientists from Oxford Brookes examined the hairs last Thursday under powerful microscopes, comparing them with samples taken from an Asiatic black bear, yaks, orang utangs and gorillas at Oxford's Natural History Museum and even a hair from Dr Redmond's beard. "The hairs are complete with the cuticle, and between 3.3cm and 4.4cm long and thick and wiry and curved," Dr Redmond said. "At one point we thought they looked like they came from a wild boar. That was quite a tense moment, but when we got a sample from the museum it turned out they were quite different." Dr Redmond also contacted the English laboratory that analysed the hairs brought back by Hillary in the 1950s from his Everest expedition and found they were similar in appearance. While the microscope tests were inconclusive, the hairs are now undergoing DNA tests in separate laboratories in Oxford and Cardiff. Dr Redmond admitted his excitement at a potential scientific breakthrough was tinged with fear. "My concern is that if we do find something unusual, it will be from a very small population of animals and I would want to talk to the State Government and Indian Government so they are not inundated with people trying to catch one for a museum. "I want us to approach this in a 21st century and not a 19th century way." British experts say tests on hairs claimed to come from a yeti in an Indian jungle show they bear "a startling resemblance" to those brought back from the Himalayas by famed New Zealand adventurer Sir Edmund Hillary nearly half a century ago. "The hairs are the most positive evidence yet that a yeti might possibly exist, because they are tangible," ape expert Ian Redmond, who is co-ordinating the research, told The Independent in London. The hairs had the same cuticle pattern as hairs brought back to Britain by the late Sir Edmund and donated to the Natural History Museum, he claimed. "We are very excited about the preliminary results, although more tests need to be done." The two short hairs - 33mm and 44mm long - were picked up in thick forest in the Garo hills in the mountains of northeast India five years ago after a forester reported seeing a yeti - locally known as mande barung, or "forest man". 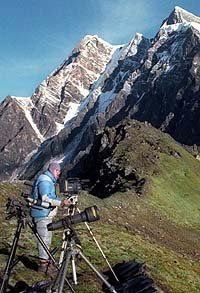 Sir Edmund led an expedition at much higher altitudes in Nepal in 1960, and investigated reports of yeti footprints on the Ripimu Glacier at the head of the Rolwaling Valley. But hidden microphones and cameras enmeshed in trip wires failed to capture a Nepalese yeti's likeness - or record its famous high-pitched whistle - and the Hillary team said that "yeti" footprints they had found were the tracks of a relatively small animal which had melted out in the sun. 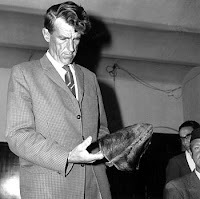 Sir Edmund borrowed a yeti scalp from Khumjung Gompa, a Sherpa temple, to take to America and Europe to be looked at by scientists who eventually said the scalp had been made from the hide of the serow antelope - probably intended as a ceremonial hat but gradually acquiring the status of an actual scalp. A "yeti skin" was identified as a blue bear. The scalp might not have been the real thing, but one of its guardians, village elder Khunjo Chumbi won a debate with Professor J Millot of the Museum of Man in Paris, who suggested that yetis did not exist. "In Nepal we have neither giraffes nor kangaroos so we know nothing about them. In France, there are no yetis, so I sympathise with your ignorance," Khunjo told him. Hair strands thought to be from a yeti-like creature living in India are to be tested in Oxfordshire. Scientists at Oxford Brookes University will study the sample, which was found in the state of Meghalaya. They will see if the strands match a known animal. 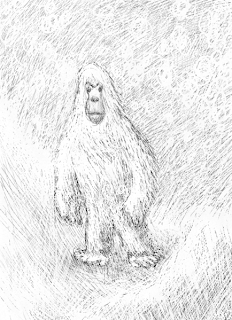 To date there has been no conclusive proof yetis exist. The hair was found and handed to BBC reporter Alastair Lawson during an expedition to try and find the animal after a number of reported sightings. He told BBC Oxford: "The region was thick with jungle and very hot, an unlikely country you might say to find a yeti. "But the tribal people who live there claim to have seen fossilised footprints of the creature which could have existed in prehistoric times. "Then one of the locals said he once saw a yeti and afterwards gathered hair which he thinks might be from the creature. "It would have taken a long time to test in India due to bureaucracy, so I decided to bring it to England." Scientists at Oxford will perform a microscopic analysis on Thursday before it is taken to Bristol where a DNA test will be performed. The little known Indian version of the legendary ape-like creature is called mande barung - or forest man - and is reputed to live in the remote West Garo hills of the north-eastern state of Meghalaya. Lawson was invited to the region to hear evidence of the existence of a black and grey ape-like animal, which stands about 3m (nearly 10ft) tall. Now he hopes his quest will end with a positive outcome. "I have to admit I will be a a little bit disappointed if the hair turns out to be from a yak or a cat, but we'll see," he added. 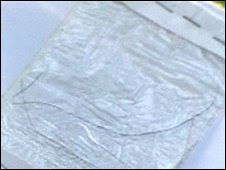 DNA tests are being carried out in the UK on what is claimed to by 'yeti hairs' from India. The hairs were collected by a yeti believer in a dense Indian jungle where the yeti (also known as Bigfoot, abominable snow man and forestman) had been spotted three days in a row. Experts at Oxford Brookes University tested the hair and say it is not from any of the 'obvious' animals and it could belong to a currently unknown species of primate. The hairs will now be sent to separate labs for DNA analysis. Mr Redmond from primatology department at the Oxford university also says the hairs bear a "startling resemblance" to those collected by Everest conqueror Sir Edmund Hillary. Some people claim to have seen the a black and grey ape-like animal which stands about 3m (nearly 10ft) tall in the West, South and East Garo hills in Meghalaya, India. From sighting it is estimated the creature weighs about 300kg and lives on fruit, roots and tree bark. Last night I was at the Bye and Bye on NE Alberta and 10th (I drop this bar's name to show how dang cool someone in the BfRLC really is by going to one of the coolest hipster bars in town). Aside from seeing Portland's new Mayor Elect, Sam Adams (how cool is it that he was at the Bye and Bye as well), I saw a shirt that caught my attention. www.messinwithsasquatch.com was the website printed on it with some crazy stick figure Bigfoot. I just checked out this website and it is a website that is sponsered by Jack Link's Beef Jerky. There is a section on this site for games as well as some cool CGI Bigfoot items. The games include, "Smash with Big Stick", "Swing Big Stick", "Don't wake Sasquatch", and "Take Back the Jack". These games are pretty entertaining as you get to be Sasquatch playing homerun derby as well as other activities that you should check out. I'm happy that last night's hipster drinking turned into this morning's funtime internet game activities. We salute you Messin With Sasquatch and Jack Link's Beef Jerky for making this morning's headache a little bit more tolerable. Be sure and read our earlier article Messin' with sasquatch about this campaign published Febuarary this year. Looking for a fun summer activity? I know that gas prices are high, but if you are looking for one trip to make this summer, the BfRLC suggests touring the Bigfoot Scenic Highway in Northern California. This 89 mile trip (that's only 3 gallons of gas with a car getting great gas mileage, about 4 gallons otherwise), this trip starts of on California State Highway 96 in Willow Creek. Willow Creek is known locally as "The Gateway to Bigfoot Country". A great big statue of Bigfoot will send you off on your touring adventure. From Willow Creek you will follow the Trinity River, which is a great place for fishing and whitewater rafting. From here, head through the Hoopa Valley Indian Reservation. Stop in to view the traditional artwork of the Hoopa Valley. Next, enter the Klamath National Forest and follow the Klamath River. This part of your journey gives you a good chance to view elk, bald eagles, perhaps Bigfoot as well. Along the western edge of the Klamath River lies Marble Mountain Wilderness area, a great spot for hiking and enjoying a picnic. Next head up to Clear Creek, yet another good hiking spot. Finally, end up in Happy Camp. We hope that you and your family enjoy this trip. Please feel free to drop us a line about how it goes, Bigfoot findings in the area, and any travel suggestions you might have.